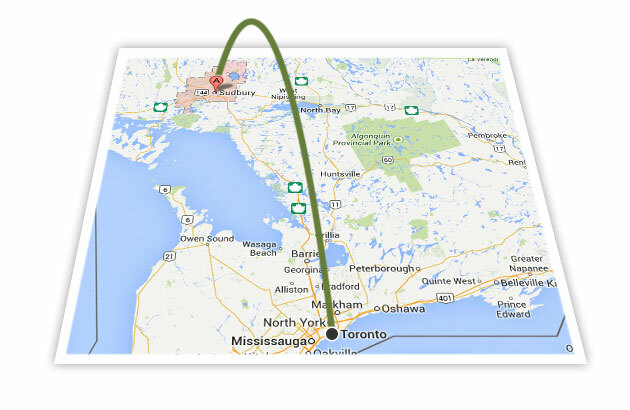 Have you been planning relocating from Toronto to Sudbury? Transline Moving is the ideal option for anybody who chooses a professional moving. (Moving to Sudbury). When preparing for a long distance move from Toronto to Sudbury, you would like an additional guarantee that your own goods and family possessions show up secure at your new location. Going from one city to another may possibly become a headache. The easiest way to make your move pleasant and stress-less is to work with the expert long distance movers. When you decide to choose Transline Moving company, we will become your personal moving adviser. We are going to assist you plan, organize and calculate your spending budget for your coming moving event. Your own demands and needs – are our key concerns; we are willing to match our services to your particular needs. Be sure to call now at (416) 628-5336 to discover more about our offers. At Transline Moving we care of your valuables just as much as you do.